These aren't some of Britain's most wanted, they are in fact my relatives with freshly shaved faces for the month of Movember. Movember involves men all around the world growing moustaches to raise awareness of men's health, especially male mental health and prostate cancer. The Mr, my brother, my dad and my sisters Mr have all turned into Mo Bros for the 30 days of November to help to raise funds for this great cause. 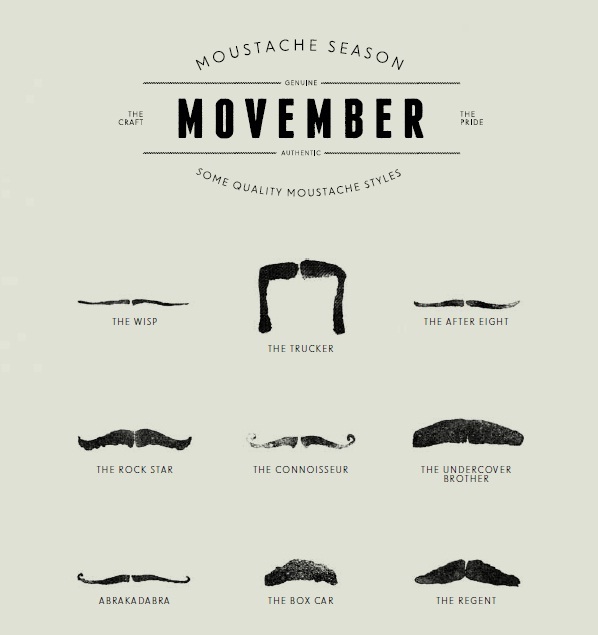 Being a Mo Sista I will be tracking their progress and also helping to raise awareness of men's health by doing so. Money raised goes to three programmes to help fund research into various male cancers and to help more men survive. It also goes towards an awareness and education programme. I shall post at the end of the month with their final facial hair images and let you vote which deserves a little prize! In the meantime I have to put up with kissing what can only be described as a hedgehog but it's worth it.